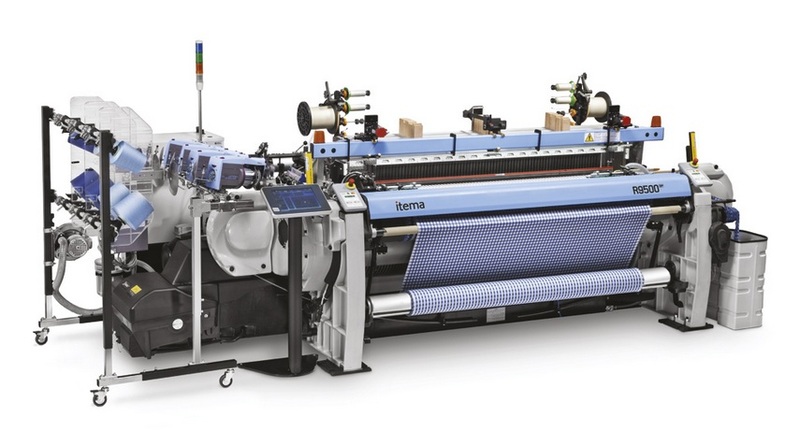 Itema offers a complete line of machinery for the weaving industry. Our weaving machines include Air-Jet, Projectile, and Rapier technology and are suited for a wide range of applications. We strive to bring you industry-leading equipment to maximize the benefits of your investment. Our air-jet weaving machines are versatile, reliable, and ideally suited for diverse high production needs. Backed by 25 years of proven performance in air jet weaving, our A9500 sets new standards for productivity and operational simplicity. Producing excellent fabric quality with minimal air consumption, the A9500 is recognized for its exceptional performance and straightforward design. The machine features a special shed geometry that promotes a long dwell while reducing air consumption. The long weft insertion time and high-efficiency nozzles provide the acceleration curve for all yarn types. The A9500 includes the new NCP (New Common Platform), electronic platform with a large, full color touch screen display. This interface makes it easy to communicate with the Itema Service Network. The A9500 is best suited for use in medium to heavy denim, colored weaving, and sheeting applications. Our projectile weaving machines are robust and easily adaptable to ever-changing market needs. Our P7300HP projectile weaving machines produce high-quality fabrics for customers worldwide. Featuring simple operation, reliable design, and high productivity, our machines provide an excellent return on investment. 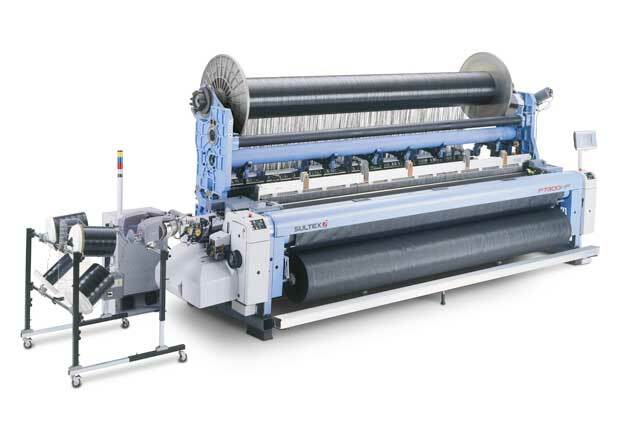 Our projectile weaving machines are best suited for technical and industrial fabrics. Our rapier machines have been recognized by customers worldwide for their versatility and efficiency. 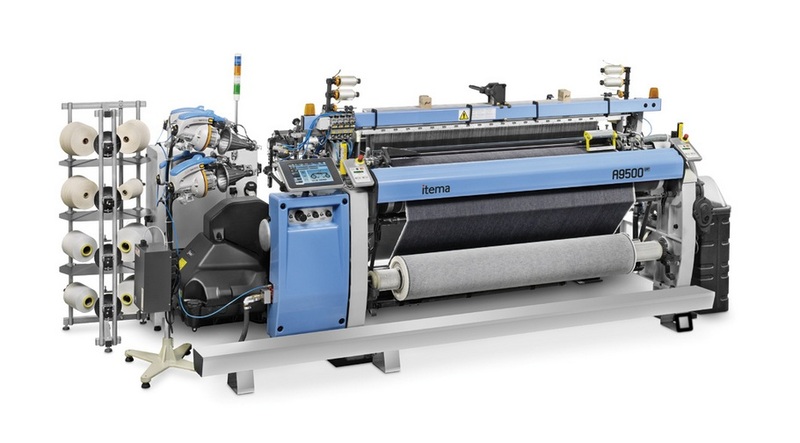 The NEW R9500 Rapier Weaving Machine is surpassing the expectations of rapier weaving performance! It is designed to handle the largest application range, and therefore the R9500 is the backbone for Itema. It is simple to operate & maintain and capable to produce unsurpassed quality, providing the highest added value of all Itema products. With virtually no limits in regards to versatility, the R9500 enables the Customer to attack new opportunities and quickly penetrate new markets. The simple, yet comprehensive, design of the NCP (New Common Platform), allows easy control of all technical parameters of the weaving machine. Radical developments of the drive and transfer system, provide a more robust machine, insuring a consistent, high speed transfer at the lowest vibration pattern. Wide interchangeability of mechanical & electrical parts with the A9500 reduces operational costs for customers having both technologies. A modern machine offering the latest technology for remote access & control, strategically designed for easy use & integration into the most challenging environments. 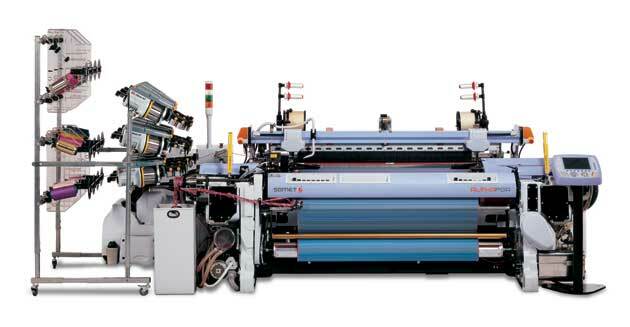 Our Alpha PGA rapier weaving machine has a universal PGA gripper that provides unparalleled weaving flexibility. With the ability to insert different weft materials and yarn counts into the same fabric, the Alpha PGA provides improved production efficiency and convenience for style changes. The Alpha PGA weaves an unlimited range of fabrics and materials and is ideally suited for the upholstery industry. 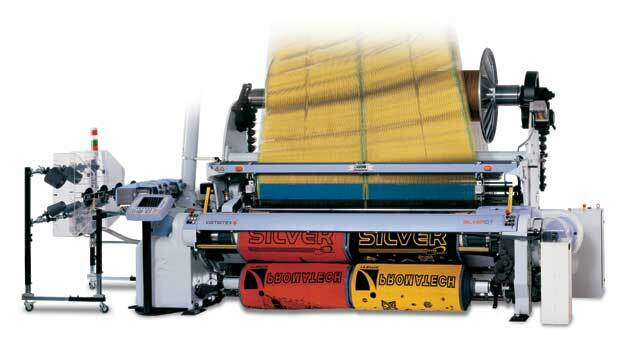 Our Silver DT rapier weaving machine offers advanced technology, robust design, and simple operation to consistently produce high quality terry products. In addition, the Silver DT offers low weft wastage, gentle yarn handling, and short style-setting times to ensure maximum quality and efficiency.